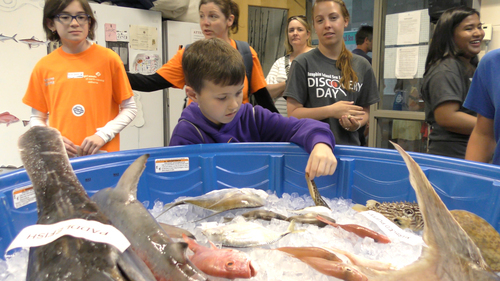 Discovery Day is the Dauphin Island Sea Lab's open house for the public. Once a year, the public is given a tour of our research facilities to learn about our coastal environment and the research our team is working on. Visitors will learn about the coastal ecosystem we live in and why it's important to conserve our precious and unique environment. You will also be able to tour the Research Vessel Alabama Discovery. Discounted Admission to the Estuarium. All outside exhibits are free.